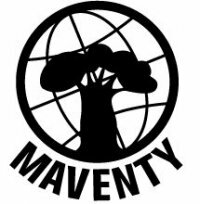 Last week I’ve joined Maventy, an NGO which is devoted to preventing illnesses and deaths through an organized, monitored and persistent effort in Madagascar. In June 2007, a coalition of professional doctors, nurses, teachers, epidemiologists and journalists who had previously volunteered in Madagascar, joined forces with His Excellency, Zina Andrianarivelo, the Ambassador of Madagascar to the United Nations, to establish Maventy Health International (MHI). Maventy Health International is at present working in the Diana region in 2008 assisting the Madagascar Action Plan to reduce incidence of malnutrition, malaria, STD’s, TB and other diseases. One of the main activities is the develpment of a we-based application for the monitoring of malnutrition in childrenhood. You can follow them on: facebook, twitter and its website.